Considering striking out on your own? Want to be your own boss? It’s an admirable goal, and it’s certainly possible, but it may not be as straightforward as you’d like to think. Staring your own entrepreneurial business or becoming a contractor rather than a full-time employee is exciting, but there are many potential problems that can spring up for those who are unprepared for the changes they are about to undertake. Insurance may not be glamorous, but it’s necessary in many ways for today’s worker. If you are not already covered by health insurance through the government, you’ll need to check out plans for that, but more importantly, you’ll no longer be covered by a company’s short-term disability insurance or long-term policy. You may also need a new form of insurance on your own home if you’ll be conducting business from your premise. This is especially true if you’ll have your own employees or contractors on the premise and if they are driving your vehicle or taking risks on a daily basis in the name of your company. This can be a hidden expense in a business, but it can also be substantial. 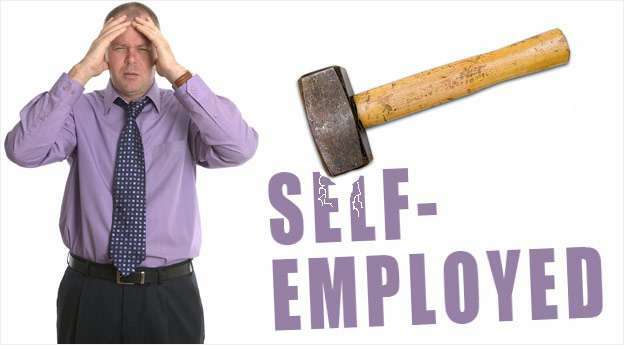 Many self-employed individuals forget to pay themselves first. You may need to invest every dollar you have into your business to get it off the ground initially, but this will leave you high and dry when it’s time to retire, especially if the work you’re doing isn’t something you can sell to someone else down the road. Consulting, for example, is only as valuable as the consultant – you. Set up retirement accounts that are as flexible as your income is likely to be in order to prepare for the years when you don’t want to (or can’t) work to support yourself any longer. Specifics like retirement and savings accounts are carefully discussed on sites like this. As tempting as it may be to walk away from your standard job with three to six months of income saved away, it may take well over a year or two to find productivity and profits with your business. Most financial experts encourage the self-employed to have six to twelve months of savings in a readily available location. The more funds you have available as you start, the more likely you’ll be to weather the ups and downs of every start-up business. While not strictly financial, as an independent contractor, you should have a plan as to how and what you’ll be doing with your business, your income and your expenses. It can be tempting to view a contractor income in the same ways as a full-time income, but there are distinct differences in how you earn your money and how you should handle it. It may be that you need to start your work as a contractor as a side-job or part-time gig until you’ve built up the business enough to feel confident with the decisions you’re making. This is also a way to maintain insurance and other financial elements while you work up to the full level of independence you’re seeking.